This stunning and rustic Andrew Martin Nicholson wooden stool is made from solid reclaimed pine with authentic and natural cracks, this stool is finished off with beautiful and contrasting aged metal handles. For more rustic charm and winter inspiration, read our feature here. 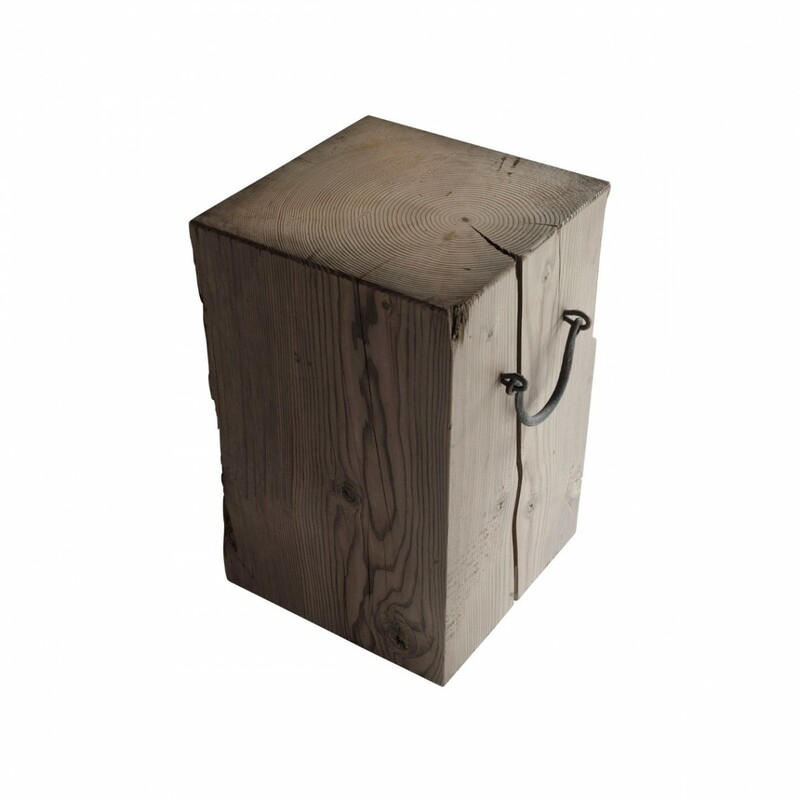 The Nicholson wooden stool, is a stunning rustic Andrew Martin piece. Sleek in proportion and extremely versatile. Whether in a city bachelor pad, a mountain chalet or a Cotswold country escape, it would make the perfect statement. Made from solid reclaimed pine with authentic and natural cracks, this stool is finished off with beautiful and contrasting aged metal handles.